IBM president and CEO Virginia Rometty (McCormick '79) speaks at the Mobile World Congress in 2014. Rometty will give the 2015 main commencement address at Northwestern. 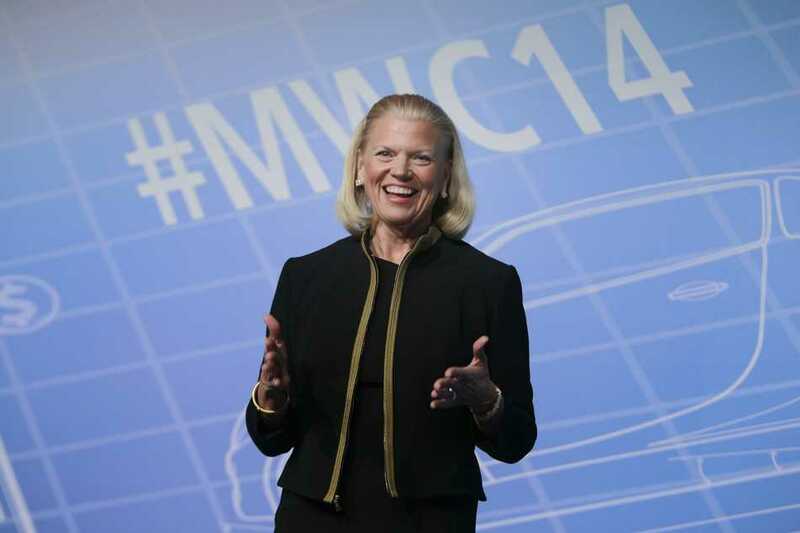 Virginia Rometty, president and CEO of IBM, will be the Class of 2015’s main commencement speaker, Northwestern announced Thursday. Rometty (McCormick ’79) was named IBM’s president and CEO at the beginning of 2012, becoming the first woman to head the company. She will be NU’s first female commencement speaker since Julia Louis-Dreyfus (Communication ’83) spoke in 2007. Rometty, who has topped Fortune’s “50 Most Powerful Women in Business” list for the last three years, will also receive an honorary degree from the University. She graduated from NU with a degree in computer science and electrical engineering and now sits on the University’s Board of Trustees. While a student, she served as president of Kappa Kappa Gamma. Actress and singer Audra McDonald, scientist Dan Shechtman and psychologist Margaret Beale Spencer will also receive honorary degrees. Commencement will take place June 19 at Ryan Field.